They are such beautiful stones. The Zuni, Navajo, and native peoples who created works of art in Sleeping Beauty blue or Dry Creek green are some of my favorite things to collect. After going to the Orlando Museum of Art's Seminole Indian culture exhibit I had to pull out all my turquoise to welcome spring and summer. My best friend Kim and I each had turquoise rings from our grandmothers when we were in high school and I think that kicked it off for me. Each setting different than the last and each piece signed by the craftsperson who made it. Back when Church Street Station existed my parents bought me a beautiful olive green turquoise ring. It has since been passed on to family. My favorite art teacher gave me a turquoise cuff bracelet that's now on a friend's arm in Japan. 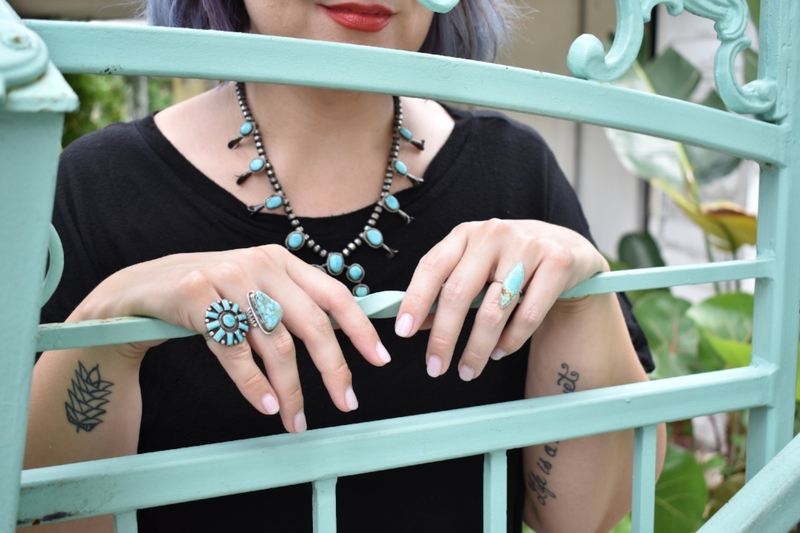 I just sent Kim a killer pair of Navajo turquoise earrings, and my own favorite piece is a modern ring by Rockhaus Metals purchased at Gypset. I spotted some really unique pieces recently over at Orlando Vintage and had to ask Lisa if I could share them. I combined my own collection with hers and we shot a few artsy photos. I'm in LOVE with the colors. It looks like I'm making a basket of blue! 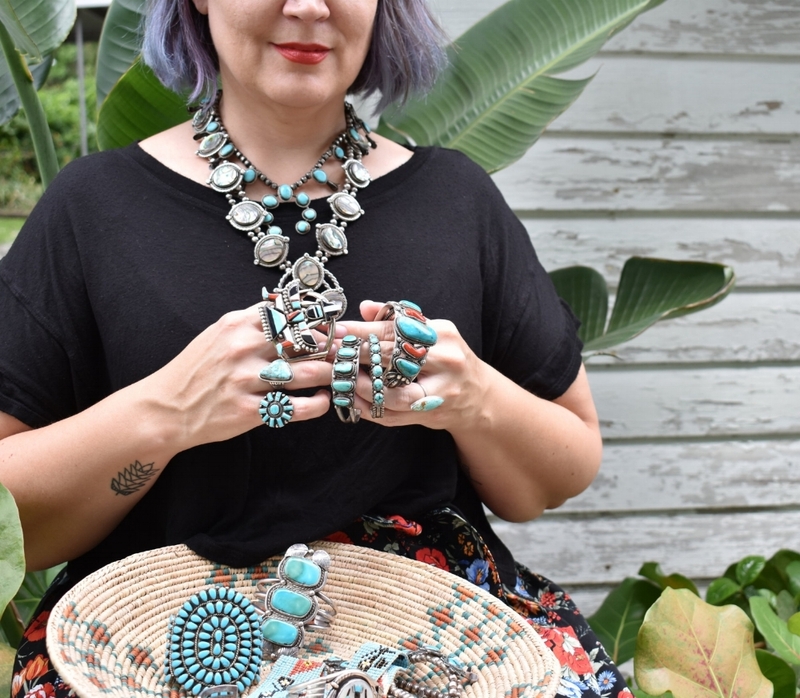 If you can't resist turquoise either, head over to Orlando Vintage to hunt for your own authentic treasures.